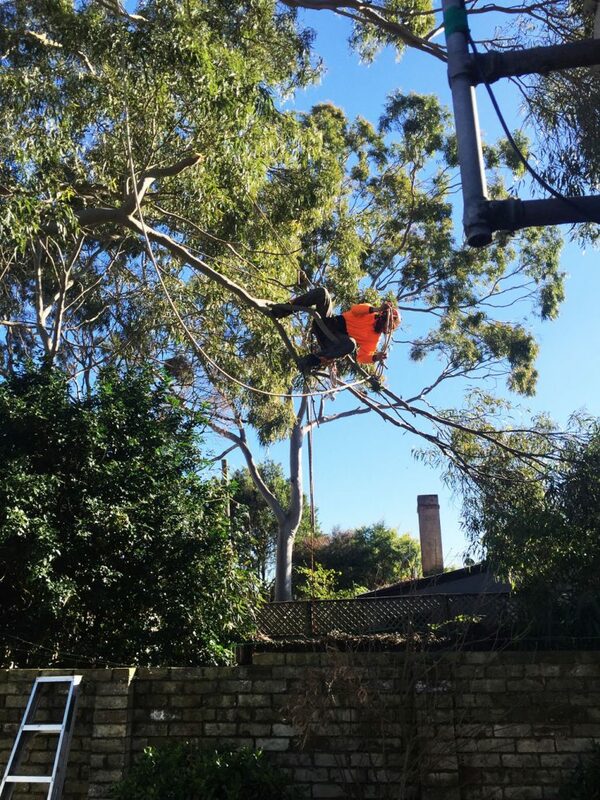 Large trees in the inner western suburbs of Sydney can be a problem, if not for the owner, for neighbouring properties. 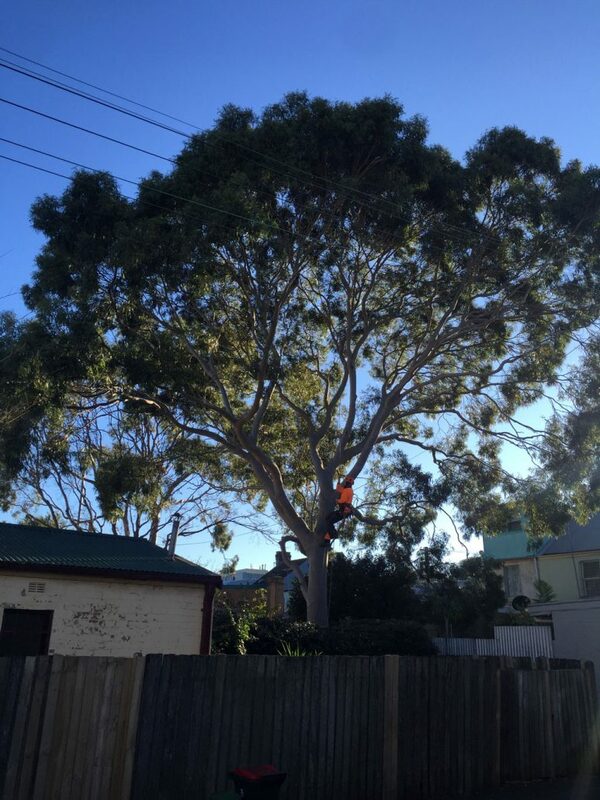 This Lemon Scented Gum tree in Newtown was diminishing the supply of natural light to a few of the neighbouring properties. None of the neighbours wanted it removed, but they did want access to more sunlight. The council approved a good pruning and we got to work. We had several happy customers that day. It is early morning climb for this lucky arborist. Look at him hanging out there. Surely that branch isn’t strong enough? Trust us, we know what we’re doing!